Throughout the nineties a certain goalkeeper from Paraguay made a name for himself, by not only being a sensational protector of his own goal, but by being equally prolific at the other end. He managed 67 goals from freekicks and penalties. 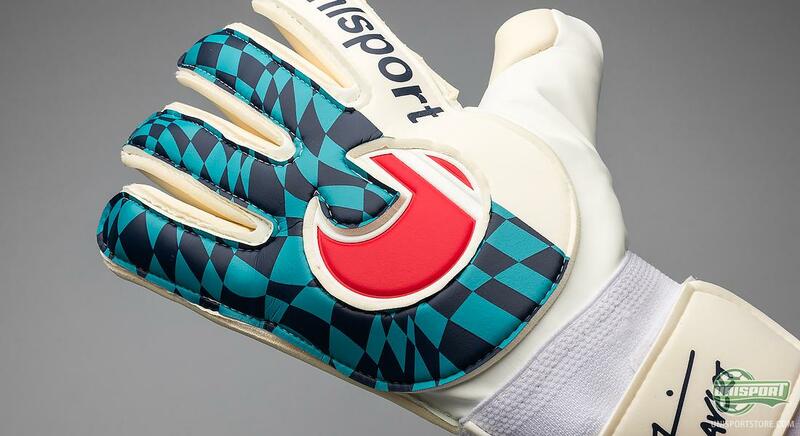 The man in question is naturally José Luis Chilavert and now Uhlsport have made a pair of retro goalkeeper’s gloves in a limited edition, which celebrates the extrovert keeper. Even though Chilavert is probably most known for many other things than his skills as a goalkeeper, he was actually voted as the World’s best goalkeeper 3 times throughout his career and he ranked as number 6 in the goalkeepers of the century. This is why Uhlsport have chosen to honour the exuberant Chilavert both on and outside the pitch, with a pair of Chilavert Rollfinger Limited Edition. 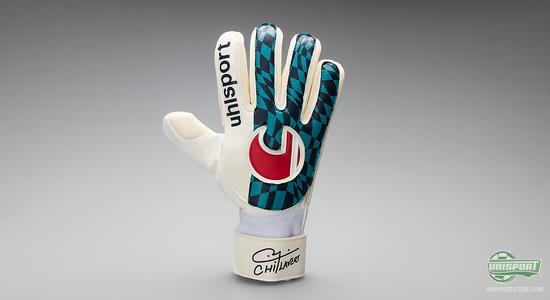 Get your own pair of Chilavert Limited Edition right here – just €65. 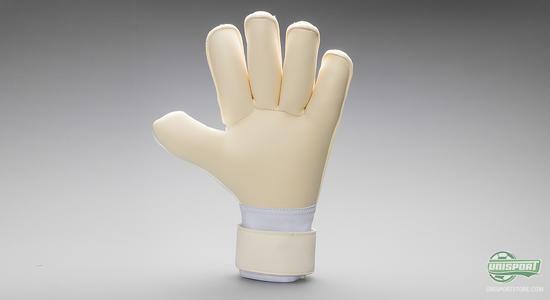 The gloves have a stylish retro look, which lead your thoughts back to Chilavert’s time of grandeur in the mid-nineties. In fact the gloves are directly inspired by the gloves, which Chilavert wore when he won the Argentinian championship with his club, Vélez Sarsfield and the title as world best goalkeeper. The gloves are a mixture of old and new technologies. Therefore Uhlsport have chosen to equip the gloves with a water-resistant material, so even when it rains the gloves weight is kept at a minimum, as well as the comfort still being top drawer. 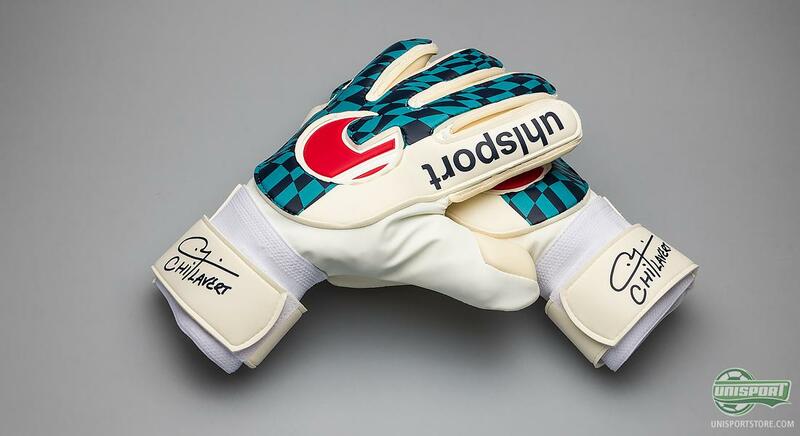 Would you like to match Chilavert’s glove choice, then you can find them right here. – just €65. The palm of the glove is made with Uhlsports Super Soft Plus material, which ensures a sublime grip on the ball, regardless of the weather conditions. 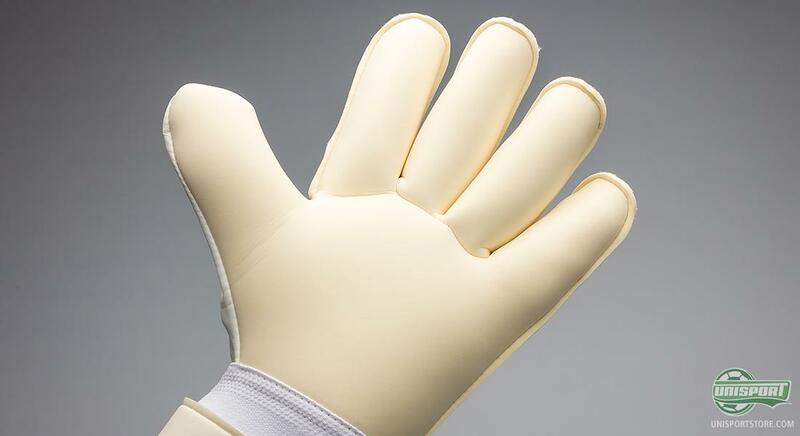 The soft latex gives strong shock absorbency, so you are well protected from even the hardest shots. To aid this facet they have given the glove a roll-finger cut, which means you always have a strong grip, so nothing slips through your fingers. Chilavert, who also went under the name ‘El Buldog’, played 617 games for his many clubs and received 74 caps for Paraguay between 1982 and 2003. Playing as a goalkeeper he managed to notch in 46 goals for the various clubs he represented, as well as 8 for the national team – with 4 of these international goals coming in their hunt for World Cup 2002 qualification. This glove will only be available in very limited stock, so hurry up. – just €65. 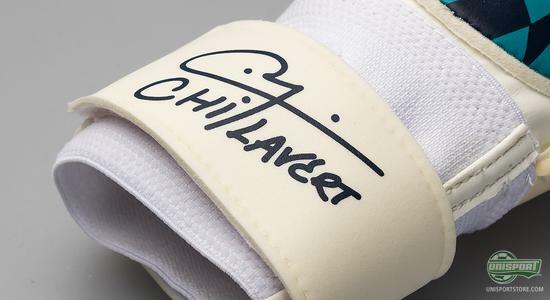 To brush things off and truly make this a tribute to the South American legend, Uhlsport have managed to get Chilaverts autograph on the glove closing and this really gives it the complete look. Chilavert was in many ways a characteristic goalkeeper, which we certainly won’t forget in a hurry. Uhlsport pay homage to his heyday with these brilliant new gloves. What do you think about the nineties style of these gloves and which of Chilaverts 67 goals was the very best?